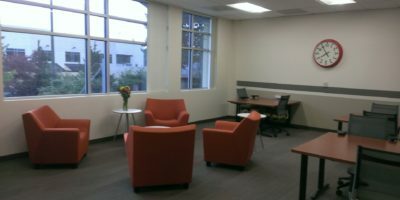 ExecuTech provides full-service workspace solutions for small or transitioning businesses, entrepreneurs, free agents, creatives, satellite offices and start-ups. We have two premiere locations: near Hillsboro’s Hawthorn Farm max station and near the Portland Airport. ExecuTech has thrived since 2002 by offering flexible leasing options for traditional offices, virtual offices and meeting rooms with a premium administrative service menu. In 2016, we are expanding our co-working options with stylish shared office rentals and modern co-working membership spaces tailored to the needs of our communities. As a locally owned and managed business, we prioritize relationships. When you contact us, our team member will work directly with you to customize a plan that meets your specific needs. We offer flexible terms and no hidden fees or auto renew contracts. We look forward to hearing from you! customer service translates into successful business for all involved.